Here is the tray that slides in the Candy Caddy all filled with Chocolate. 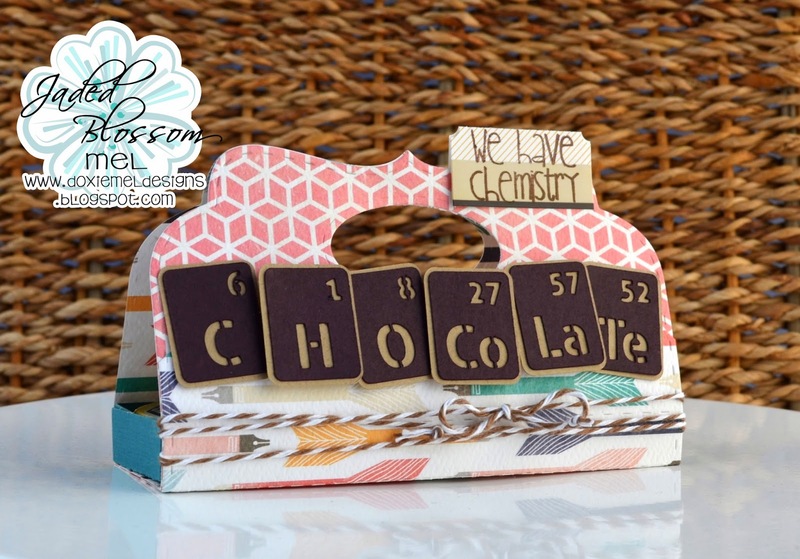 "We have Chemistry" from Science Matters is stamped on a tab from the paper collection. Thanks for visiting today! Hope to see you tomorrow at the Hello Kitty Blog Hop. Looking forward to tomorrow's hop! oh my gosh that is so awesome! I love it. Makes me wish I had a Silhouette so I could use that file. This is just so cute, Love it. So cute - wish I was more advanced in doing these types of projects. I love Hello Kitty. This is great. Thank You for Raising Awareness! Diapers, Bottles & Pacifiers, Oh My! 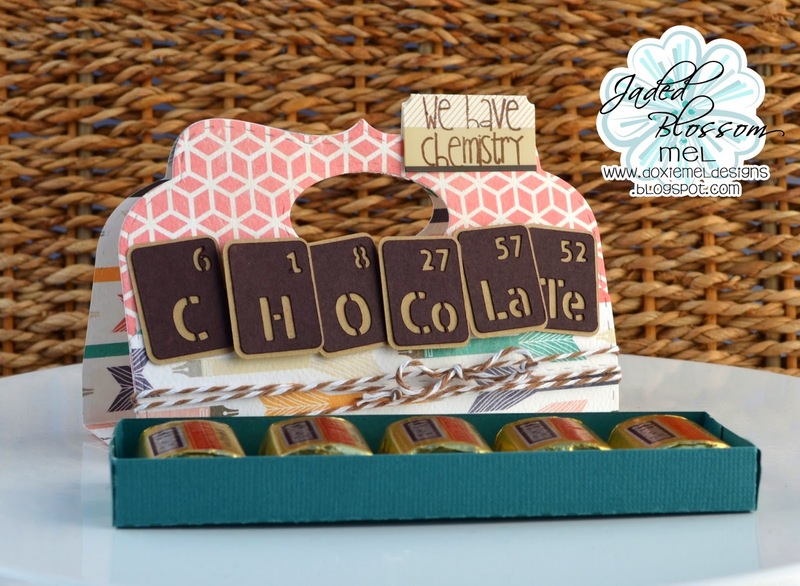 Candy Caddy Die Blog Hop!